ZooTemplate club is so proud to introduce a new released responsive Joomla agency template, named ZT One. ZT ONE designed in a clean and minimalistic style. It’s made with a lot of passion with a view to bringing you an amazing interface for your creative work: portfolio, online art gallery, image demonstration and so on. Simplicity is the ultimate sophistication. ZT One is built on Zo2 Framework with a very clear homepage and stunning effects. Our talented designers have built this simple template with the latest web design trend, consisting of powerful features: full responsive design, mega menu, drag & drop layout and more. It just takes some mouse click to set the colors, change background styles, apply fonts and create layouts. 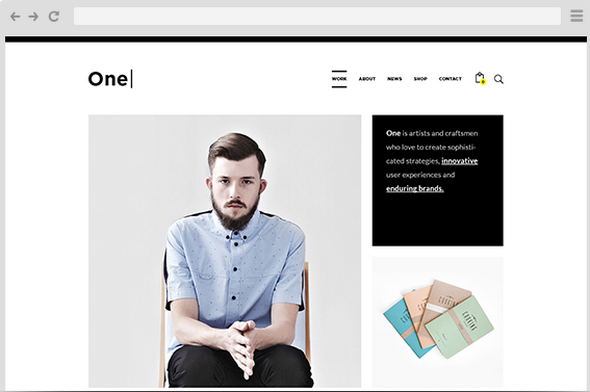 With ZT One template, building a professional website never becomes so easy before. Not end yet, great Easyblog extension will support you the most to blog anything from almost anywhere without logging in your Joomla backend and it is always ready to be published. Simple, minimalistic, attractive and creative are the best words to describe ZT One Joomla template. So don’t hesitate anymore, play around the demo and make a decision for a new appearance of your website with this nice ZT One template.